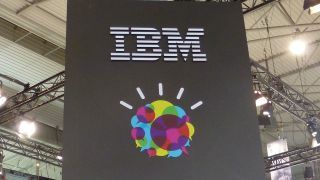 IBM has announced a new Linux-only mainframe aimed at both ends of the enterprise market and committed to bringing even more to the open source community. The new mainframe is led by two servers called LinuxONE that are billed as the "world's most advanced Linux system" and possess the fastest processor in the industry in order to handle the new application economy and hybrid cloud era. LinuxONE Emperor, at the top of the range, is based on IBM z13 and can scale up to a whopping 8,000 virtual machines or thousands of containers whilst at the same time offering the security and advanced encryption features needed by enterprises both now and in the future. LinuxONE Rockhopper, on the other hand, is an entry level offering geared towards clients that want the speed, security and availability benefits of the mainframe but in a smaller package. Just as exciting as the two new servers is the unprecedented access it is giving the developer community to its technology. As part of the Linux Foundation's 'Open Mainframe Project' it has contributed some 500,000 lines of code including code related to IT predictive analytics that are on the look out for unusual system behaviour to stop issues becoming failures. The access to technology doesn't end there. The LinuxONE Developer Cloud has also been created to act as a virtual R&D engine for creating, testing and piloting of emerging applications such as links to engagement systems, mobile apps and hybrid cloud apps. In addition to all this, it has enabled LinuxONE to be provisioned as a virtual machine using the open standards-based KVM hypervisors and for any business that likes the sound of what IBM is doing will be happy to know both LinuxONE systems are available from today.